The Mexican Gray Wolf needs our help…desperately. And they need it now! A concerted effort to wipe out this animal is being waged in New Mexico and Arizona. Wolf populations in Idaho, Montana and other states are also in jeopardy. Why would we destroy a species like the Mexican Gray Wolf? There are only around 92 of these magnificent animals left in the wilds of western New Mexico and eastern Arizona. 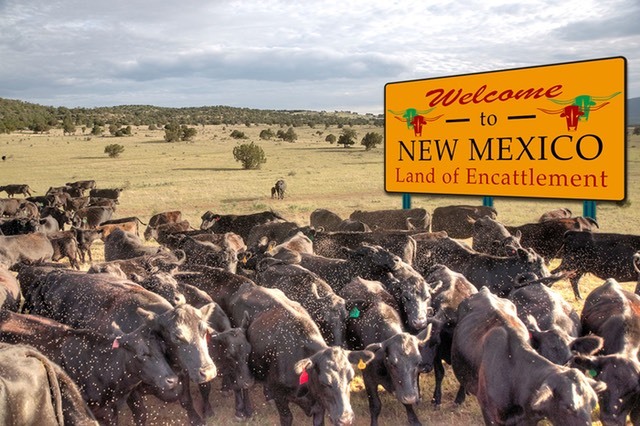 And according to the National Agricultural Statistics Service, the total population of "cattle and calves" in New Mexico (2010) is 1,550,000. Which one is more endangered? You do the math. The forces aligned against the wolf are not giving up. They are fighting harder than ever. For them, it's about economics and the belief that public lands are theirs to do with what they will. But this is your fight too. Those public lands belong to everyone, not just those with a vested economic interest in them. Review the information presented in this website (pro and con) become more knowledgable about the issue and take a stand. And while you’re at it, consider eliminating beef from your diet. 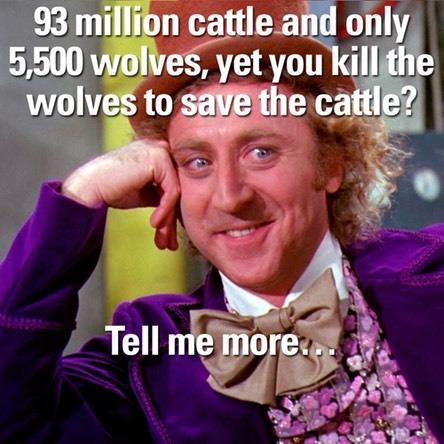 The cattle industry losing their economic and political stranglehold in the West is probably the best possible way to keep the wolf alive. The video below is from Sustainable Man.